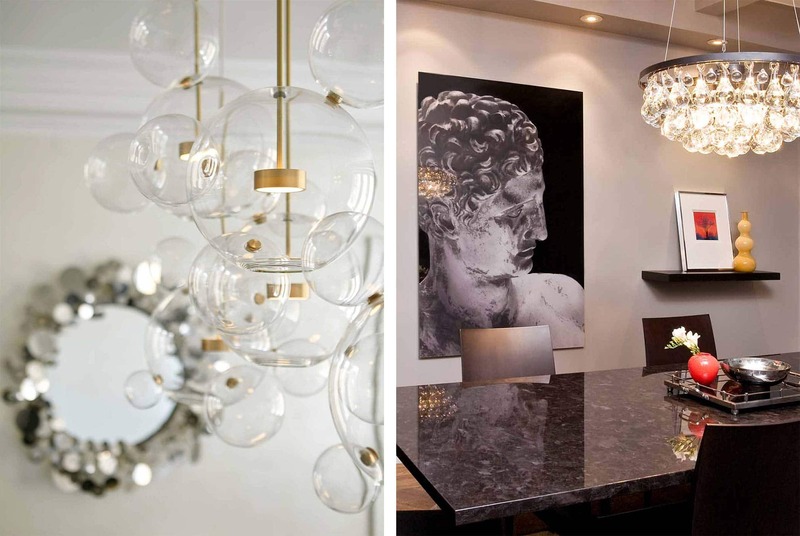 statement lighting... make an impact! while my design aesthetic is decidedly more about clean lines, interesting use of texture and materials, simplistic yet stylishly designed furnishings and, of course, bespoke details, the one area that I like to add some drama and impact is in the use of chic and stunning decorative lighting. for me, an eye catching, moment making, light fixture is like a woman in a tailored outfit with an amazing statement piece of jewelry! 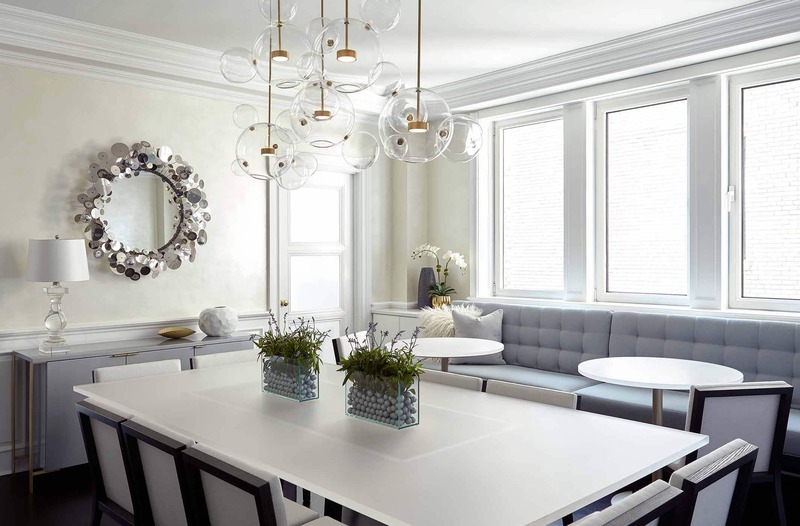 i love creating areas where the architectural silhouettes of the space allows for the eye to be drawn to a showstopping point of interest with an amazingly sculptural light fixture. while i typically only work with to-the-trade-only vendors, there are some beautiful options that are available to all! check out some of my favorites below…..
smoky style ~ i love a multi-tiered, linear fixture over a long rectangular table. and this one is full of interest! glamorous gems ~ like dining under diamonds! how stunning is this *jewel* of a fixture?! dynamic disks ~ chic, modern and above all, eye catching. dark drama ~ david weeks is a master at creating some of the most iconic and interesting light fixtures and this one is sure to be a classic. asymmetrical artistry ~ it’s deceiving from this picture, but this fixture is oversized and fabulous! 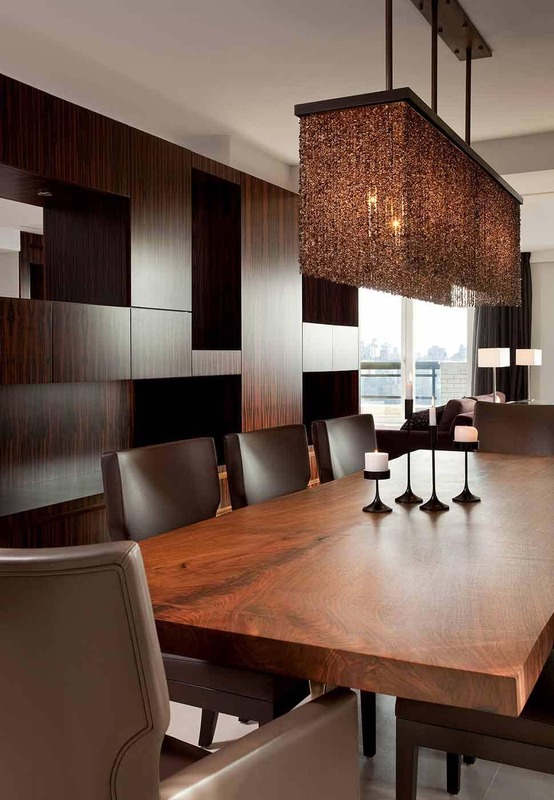 so…..how about adding some visual interest and a bit of drama to your dining room?! which is your favorite fixture? are you willing to take the risk? do tell!